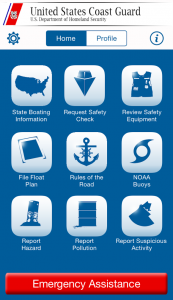 The authority for National Boating Safety Advisory Council (NBSAC) to operate is found in 46 USC 13110. The current authority expires on September 30, 2020. The manner in which NBSAC is operated is governed by the Federal Advisory Committee Act (FACA), the NBSAC charter and NBSAC bylaws. The Federal Advisory Committee Act was enacted in 1972 to ensure that advice by the various advisory committees formed over the years is objective and accessible to the public. The Act formalized a process for establishing, operating, overseeing, and terminating these advisory bodies and created the Committee Management Secretariat to monitor compliance with the Act. In 1976, Executive Order 12024 delegated to the administrator of GSA all responsibilities of the president for implementing the Federal Advisory Committee Act (FACA). Secretariat operations are directed at reporting to the president and Congress on the activities of at least 1000 federal advisory committees. Executive orders and congressional revisions have further refined the extension and the application of the Act in 1993, 1997, and 1998, and the extent and nature of the Secretariat's reporting of the activities of the committees. More information on FACA issues can be found at: www.gsa.gov/committeemanagement. The charter and bylaws provide the day to day framework for NBSAC operations. The current charter and bylaws may be found here. NBSAC consists of 21 members drawn equally from state officials responsible for boating safety programs; representatives of the boating industry; and representatives of national recreational boating organizations and the general public. The Secretary of Homeland Security appoints NBSAC Members. Members are appointed for a three year term, which will expire on December 31st of the third year of the appointment. NBSAC operates with three standing subcommittees, and forms ad hoc subcommittees on an as need basis. The three standing subcommittees are Prevention through People, Boats and Associated Equipment and Strategic Planning. These subcommittees consider a multitude of boating safety issues and forward to the full Council issues which the Council should consider making a recommendation to the Coast Guard.